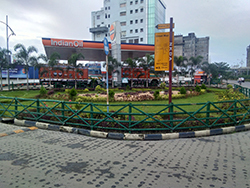 Bamboo fencing, Landscaping, Plantation of Fox Tail, Palm Tree & laying of Mexican Grass in front of Petrol pump near NBCC, corner of Street No. 175 & 240. 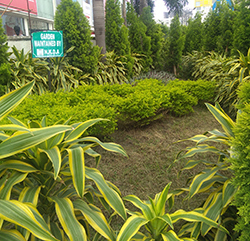 Bamboo fencing, Landscaping, Plantation of Fox Tail, Palm Tree & laying of Mexican Grass etc. in front of Novotel Hotel, corner of Street No. MAR-3333 & 240. Bamboo fencing, Landscaping, Plantation of Fox Tail, Palm Tree & making guard wall etc. at the corner of Home Town/ Central. 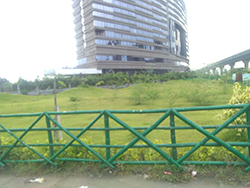 Bamboo fencing, Landscaping, Plantation of Fox Tail, Palm Tree & laying of Mexican Grass & Hedges etc. 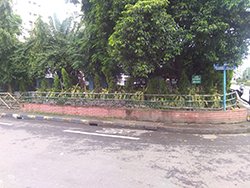 at the corner of Rupashree Complex. 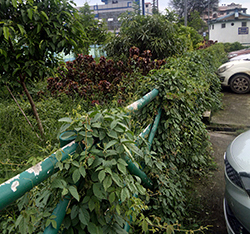 Bamboo fencing, Landscaping, Plantation of Fox Tail, Palm and Bakul Tree including plantation of Kamini Hedges in front of Axis mall. Beatification work has been completed from the Bridge over Kestopur canal upto 1st Bridge over Bagjola canal along median verge of M.A.R. Plantation of coconut trees along link canal connecting Bagjola and Kestopur canal have been completed. Another Work has been taken up from HIDCO BHAVAN to Bodichariya School on N.S Corridor.